Hands up who likes office Christmas parties? This is the one time of the year when ideally everyone gets to relax, celebrate the year and get to know people a bit better beyond their normal work roles. That is the ideal … what generally happens is a committee is formed or the office admin is drafted into the role of event organiser. Next – setting the date. You are more likely to win Division 1 in Lotto than be able to pick a date that everyone can attend and even if you pick a date that starts out where everyone is free, at least 2 key people will pull out at the last minute. Next – the outfits. Guaranteed someone will suggest fancy dress (or at least funny ties and Christmas hats). Next – the entertainment. Karaoke, versus lawn bowls, versus just sitting and chatting. Next – paid or unpaid. There are always “discussions” about whether attendance should be classed as work time or in their own time. Next – the menu and alcohol. Set menu or self choice. To serve alcohol or no alcohol. Finally – Secret Santa. Will you run one, how much will be spent and on what. The big day finally arrives, the time to start arrives, and people are still milling around the office fixing last minute emails and phone calls. One or two very lonely people wait at the venue by themselves until about half an hour late the rest of the crew arrive. For years I was the HR Manager at many Christmas functions and I can tell you – I hated Christmas parties! I counted a party a success if there were no sexual harassment allegations popping up over the next week, if no junior embarrassed herself (it was always a girl) by doing a Brittany Spears and her many wardrobe malfunctions, if no girlfriend or boyfriend of an employee threw up or hit another staff member, if no one uploaded a video taken on their phone of the drunken antics and uploaded it to You Tube and if everyone got home safely without any car accidents or brawls on the way home. Is it to have staff relax and get to know each other better, to celebrate a great year, to commiserate a bad year, to get families involved in work? Whatever your intent – be clear and tell people what you are doing. This means not inviting families and partners if you want to team build, but inviting them if you want to remind people of the importance of work/life balance. A Christmas party (no matter how expensive) is not a motivational tool for staff. They will not work hard all year for little praise and average wages in the hope you throw a great party once a year! There’s a lot of case law about this so you need to be on your guard. 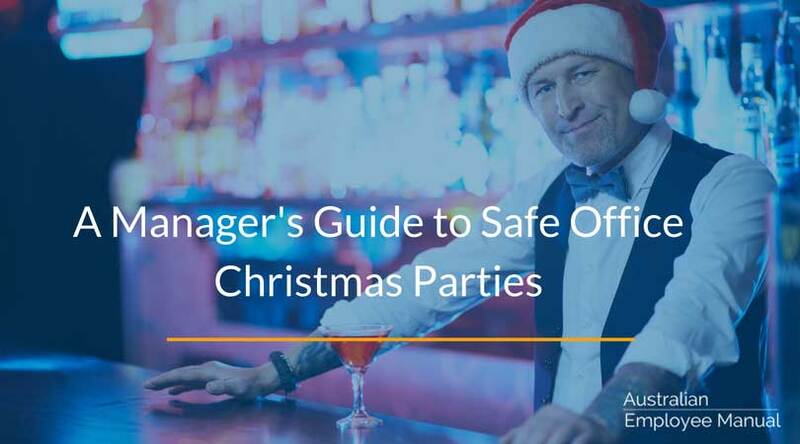 If someone attends a work Christmas party they are generally considered to be “at work” which means managers are liable both directly and vicariously for accidents, injuries, harassment, vilification, and all of the other nasties when people are at your party. 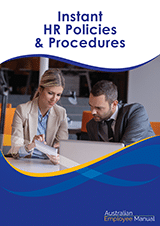 Put in risk mitigation measures from the beginning to minimise your risk. Alcohol: In one word NO! Alcohol is the cause of most bad behaviour and critical incidents, so aim for a dry party if at all possible. If you decide to supply alcohol, you must also supply taxi vouchers to ensure people get home from the party safely. You also need to ensure you have at least two managerial level staff (one male and one female) to be the “fun police”, keep an eye on people drinking, and not drink themselves. The fun police’s role is to keep an eye on drinking, protect people from themselves, to go into the toilets and help people who are ill to get themselves safely sorted out, and then go home. They need to be on hand at the taxi rank to see people safely into cabs and they also need to keep an eye out for DVD cameras and video phones recording inappropriate behaviour to later post on YouTube. Unless you have very deep pockets, if you are running a bar tab keep an eye on the spend during the night. I know of some functions that started with a bar tab of $3000, but at the end of the night it ended up costing over $20,000 thanks to one of the managers drinking a bit too much of the good stuff. If the party is during regular work hours then I would suggest attendance is paid (unless all employees are under absolutely no obligation or even subtle pressure to attend and they can remain at their desks if they choose instead of attending). If the party is out of hours then the party is unpaid. Don’t do it! All attendance should be totally optional and no pressure, bullying, or general standover tactics employed to make people attend. If many people choose not to attend your party, that is highlighting a problem in your workplace culture and hidden morale issues. They are fine to do but set limits on both money and the types of gifts bought. A $10 limit is fine – make sure the rules on gifts include there are no pornographic, R rated, insulting or abusive gifts bought (remember your vicarious liability …). Do consider if the venue is appropriate for all members of your staff. This not only includes people with disabilities but also people of different religions and ages. Make sure the menu caters for Vegans as well as kosher if needed. Remind all staff about your Codes of Conduct both on the lead up to the party as well as at the beginning of the function. Yes, it puts the damper on things, but it will save you a lot of money if you do get taken to court and you can demonstrate all reasonable steps were taken to prevent a problem. If you follow these tips your after party hangover should only be related to too much red wine and not in cases before various courts and jurisdictions.